Do you have any of these 7 Common Chimney Problems? Chimneys are one of the most overlooked and underestimated features of a home requiring routine maintenance. A chimney can be a beautiful and handy addition to a home, but they also bring another set of responsibilities. 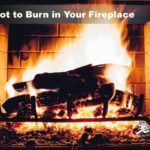 Whether you have a wood-burning stove, a wood burning fireplace or a gas burning fireplace, an annual chimney inspection and cleaning is essential. 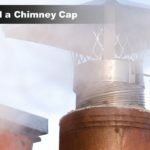 We’re going to go over some common chimney problems such as creosote, brick, mortar, chimney caps, chimney flues, obstructions, and wood rot. Whether you’re burning wood, pellets, or gas, smoke goes up the chimney and creosote will build up over time. There’s no way around it. There are different types of creosote, but all can cause a dangerous chimney fire if not addressed properly. Thousands of chimney fires happen every year because the chimney was never cleaned. The National Fire Protection Association (NFPA) recommends that chimney’s need to be inspected every year to help prevent chimney fires. Neglected brick chimneys can lean, crumble and sometimes collapse. Bricks can become damaged over time. It is normal to find cracked and spalling bricks on a chimney, but they can become so damaged over time they need to be replaced. A professional replace the damaged bricks and mortar which will bring back stability to the chimney. 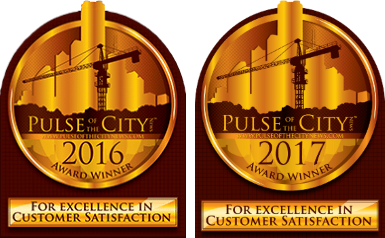 At Baun’s Chimney Sweeping, we are equipped and have the experience for brick chimney repair. 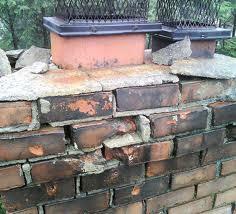 It is less expensive to have a few bricks replaced than it is dealing with a collapsed chimney. Moisture is the biggest enemy for a chimney. Whether your chimney is brick or stone, mortar keeping it all together and keeps moisture out. 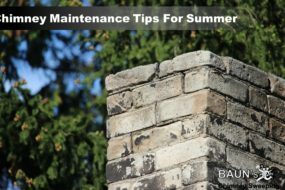 It doesn’t matter whether the mortar is on the crown of the chimney or between the stones or brick – it can become damaged. Tuckpointing is one procedure a chimney professional will perform. In tuckpointing, damaged mortar is removed and replaced with new mortar. Chimney Caps and Chase Covers protect the top (the crown) of a chimney from moisture, animals, and other debris. Eventually, chimney caps and chase covers need to be replaced. It is also not uncommon for the chimney cap or chase cover to have been improperly installed. One way to know for sure is to have your chimney inspected. Your professional will check the integrity and efficiency of your chimney and let you know if your cap and cover is sufficient, needs fixed or even replaced. If you need a chimney cap replacement or chimney chase cover, we can help. It is difficult to inspect a chimney flue without the assistance of a camera. Baun’s Chimney Sweeping has the proper equipment and cameras to conduct a thorough inspection of your chimney flue to see if there are any stress areas, cracks or holes, and even animals from time to time. When we find any areas of concern during the chimney flue inspection, we will share those concerns with you and offer options. 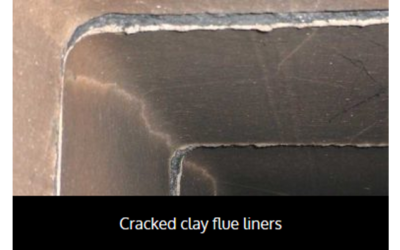 One remedy we may recommend protecting and restoring your chimney with HeatShield®. Blockage/obstructions can be caused by a number of things which prevent the smoke from a fire from going up and out of the chimney like it’s designed. Chimney blockage is dangerous and can allow toxic fumes such as carbon monoxide into the rest of the home. If you feel you there is any obstruction in your chimney, contact a professional chimney sweep. They can help you determine the problem: a bird’s nest, leaves, ambient updraft, excessive soot, or anything else. 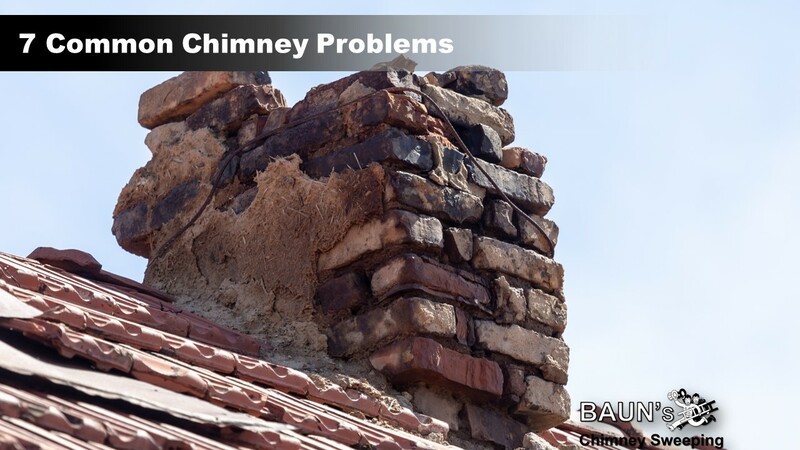 At Baun’s Chimney Sweeping, we have the tools and experience to help you figure out what’s obstructing your chimney and help you solve that problem. It is unfortunate that many subdivision homes in recent years have had, in our opinion, questionable building practices when it comes to building a chimney. 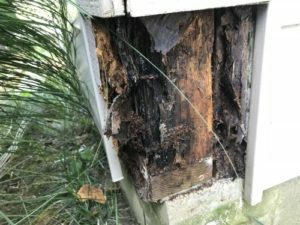 We have found countless chimneys wrapped with vinyl siding and wood trim that allow too much moisture inside, eventually leading to rotting wood behind the siding. We have also seen our fair share of chimney caps and chase covers improperly installed on some of these subdivision homes. If you are unsure that your chimney has rotting wood, contact a professional. In some cases, we may refer you to a carpenter depending on the severity, in other cases, we may be able to assist. Regardless, have your chimney inspected and we can let you know your options if we find anything of concern. We understand that it is common and normal for a homeowner to overlook or forget the maintenance of their chimney. We hope to spread some of that awareness and encourage homeowners to educate themselves on the importance of having a chimney cleaned and scheduling an annual chimney inspection. Our professional chimney sweeps can answer all your questions and address all of your concerns. If you’re looking for an Indianapolis Chimney Sweep to clean or inspect your chimney, consider Baun’s Chimney Sweeping. Call (317) 627-3606 and schedule your appointment today! Request a free chimney inspection estimate!